As the 3 enfolded Type A polygons have 27 sectors with 26 corners, the (3+3) enfolded polygons have 54 sectors with 50 corners. 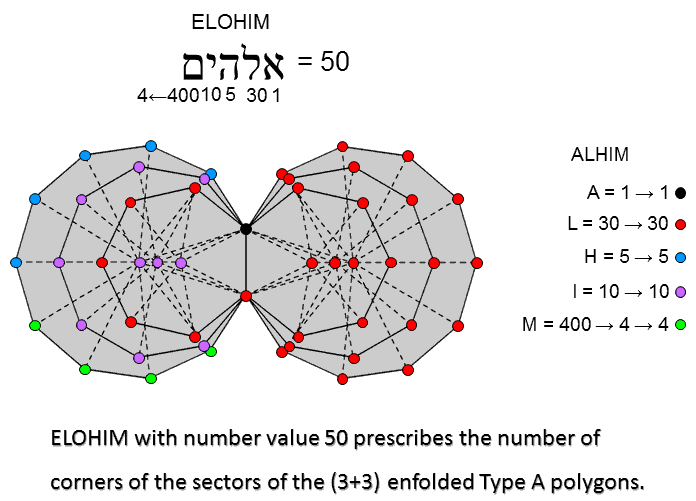 ELOHIM, the Godname of Binah with number value 50, prescribes the 50 corners. This conjunction of the numbers 26 and 50 is striking confirmation that the number value of ELOHIM is 50. The geometrical context is consistent with the abstract meaning of Binah as the source of all formative archetypes, for the number 50 is a minimal quantifier of the shape of the (3+3) enfolded polygons. According to Table 2, the 81 tetractyses in the 3 enfolded Type B polygons have 400 yods. 81 of these are hexagonal yods at the centres of tetactyses. (400−81=319) yods line the 3 enfolded polygons. two yods in the root edge can be associated with each set of polygons. (319−2=317) boundary yods shaping all their tetractyses can be associated with each set. 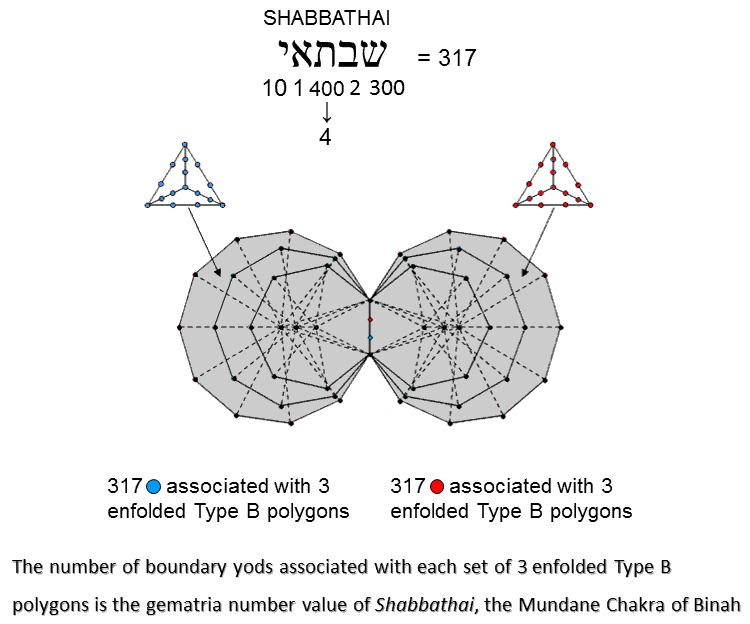 317 is the number value of Shabbathai, the Mundane Chakra of Binah.